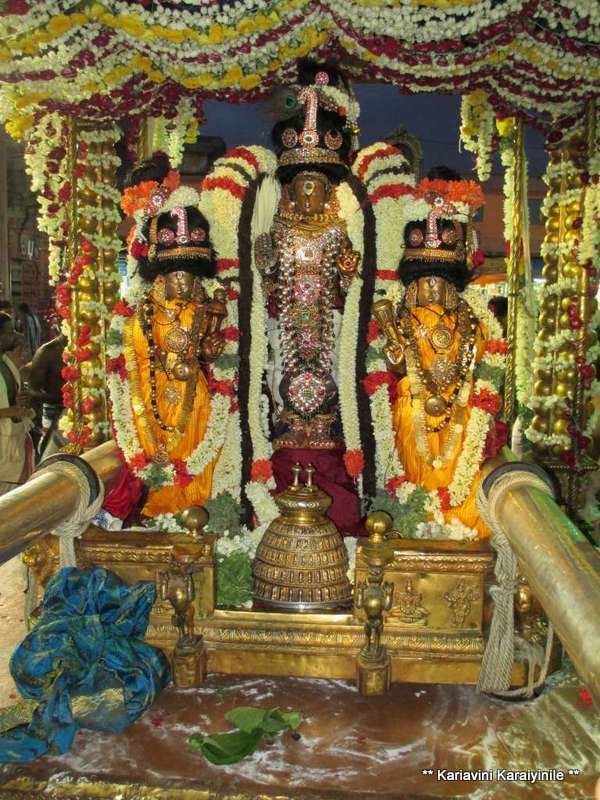 Sri Azhagiya Singar – Punyakoti Vimanam – 9th day Eve. 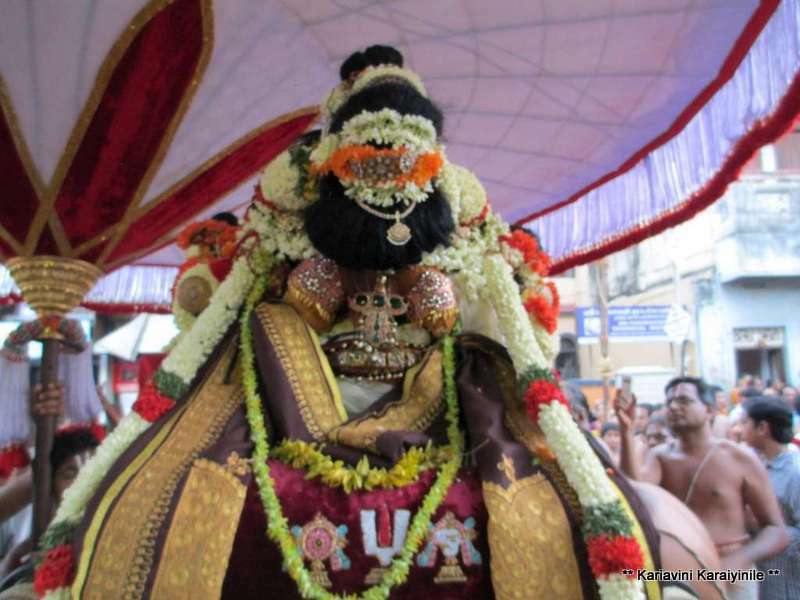 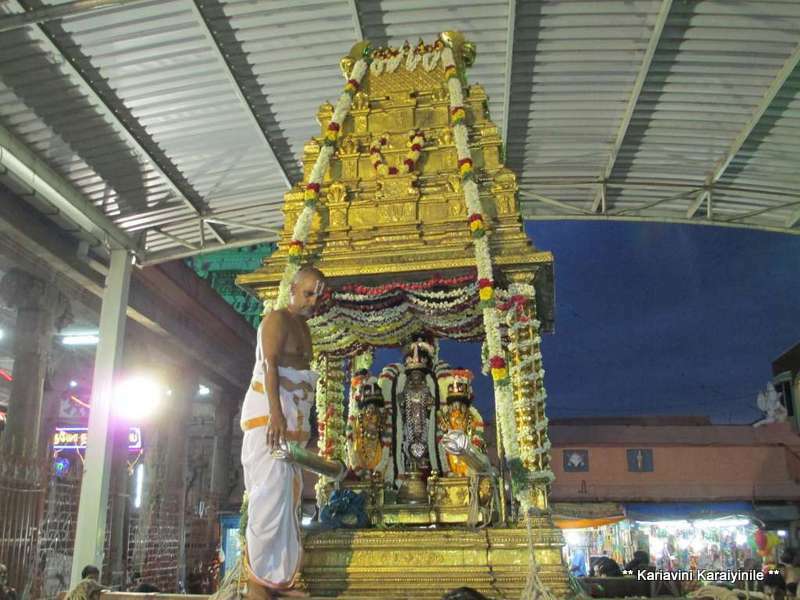 On 9th day of the Brahmothsavam – 27th June 2013 it was Aal Mael Pallakku in the morning. 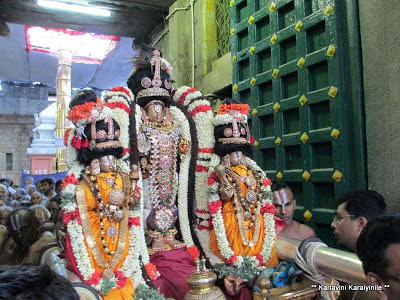 As I had posted earlier, at Thiruvallikkeni, there are two dwajasthambams [kodimaram] and there are two Brahmothsavams – one for Sri Parthasarathi and the other for Azhagiya Singar. 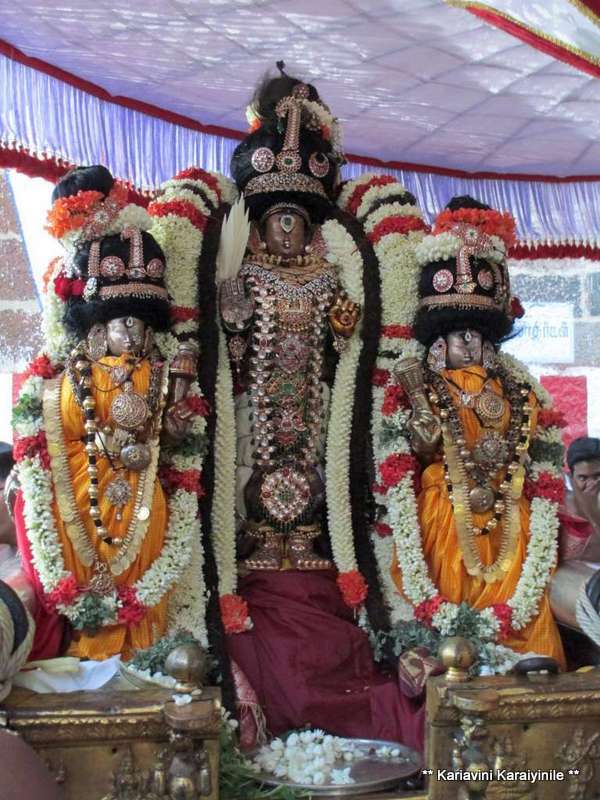 Both are conducted in the same grand manner. 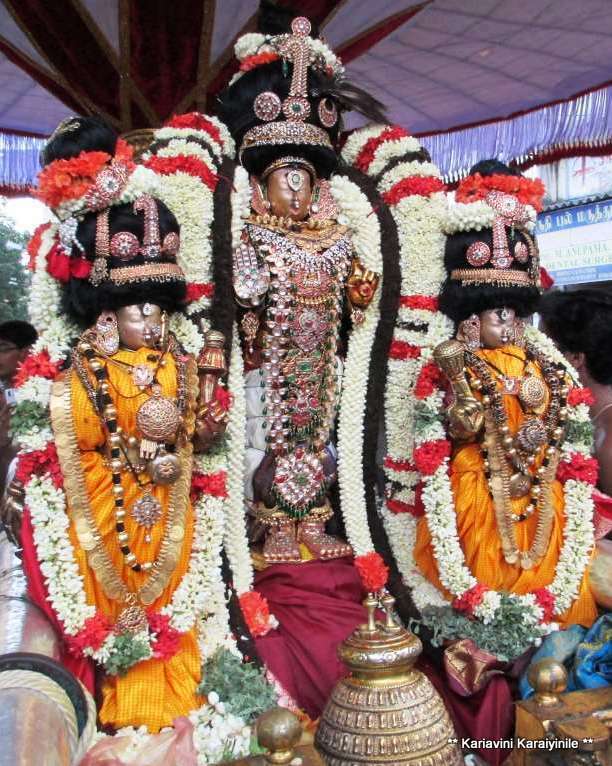 There are some small differences – On day 8th morning it is ‘VEnnak thazhik kannan’ [Navaneetha Krishnar thirukolam] for Sri Parthasarathi, while it is ‘Lakshmi Narasimhar’ for Azhagiya Singar. 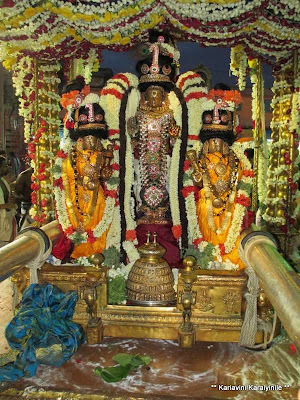 On Ninth day evening it is – Kannadi Pallakku – the palanquin embedded with beautiful mirror work for Sri Partha Sarathi and for Sri Azhagiya Singar, it is ‘Punniyakodi Vimanam’.